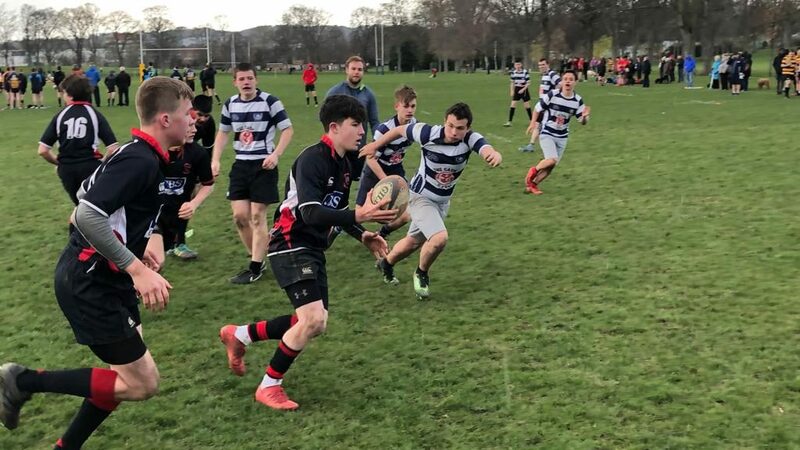 The U16’s travelled to Inverleith Park in Edinburgh to take part in the new X7 Tournament organised by Andrew Whitelaw of Edinburgh Rugby. This new 7 a side game takes place across the pitch, using half the length with two or three law variations from the original 7’s game. The boys performed well in the 5 games and won them all. Win over Portobello 55-21 with scores coming from Cammy, Alex, Ewan and Darren. Win over St Thomas’s 38-21 with scores from Gregor, Lewis and Evs. Win over Boroughmuir 20-7 with scores from Miller and Ewan. Win over Trinity Academy 48-15 scores from Miller, Gregor, Evs, Ewan and Chris. Win over Leith Academy 55-7 with scores from Cammy, Charlie, Darren, Alex, Gregor, Chris and Lewis. Top Scorers were Cammy and Gregor with 6 each, next was Miller with 5. 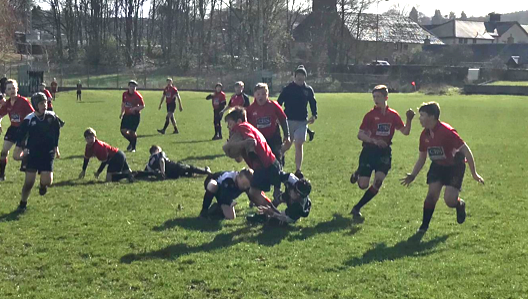 Ewan was next with 4 and three players scored 3 tries – Lewis, Evs and Alex. Chris, Darren and Charlie all got two tries. Well done again boys and a special thanks to all the parents for their continued support. S1s won 51-10 against a very good Preston Lodge (PL) team. PL only had 11 players (including 2 giants), so the coaches agreed to play three 15min periods with Linlithgow providing 2 players each period to make it the normal 13-a-side. Thanks to Hamish (try) James, Johnny, Euan, Alex and Cameron for playing for PL. 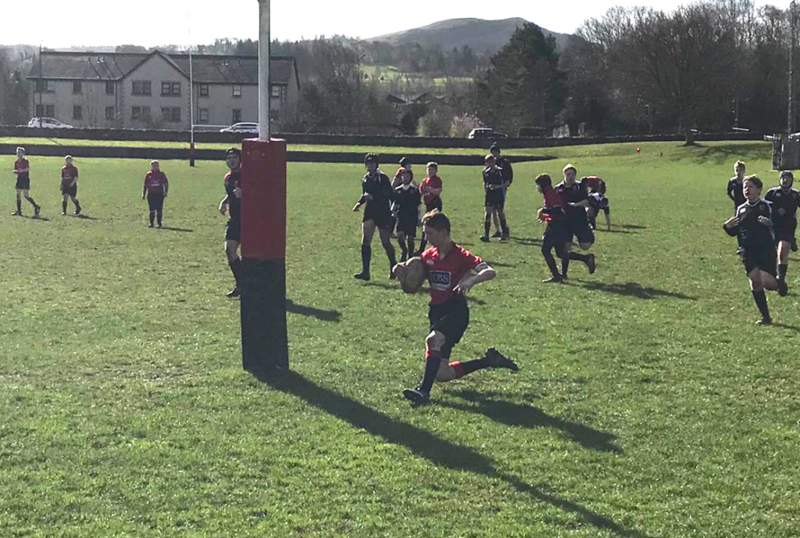 The Young Reds ran in 13 tries, conceding only 3 and this reflected the great passing, offloads and support play from the whole team. S3’s lost 48-24 today to a well drilled, physical Preston Lodge team. What the reds were lacking in physical size they made up for with grit and determination, giving their all up to the final whistle. 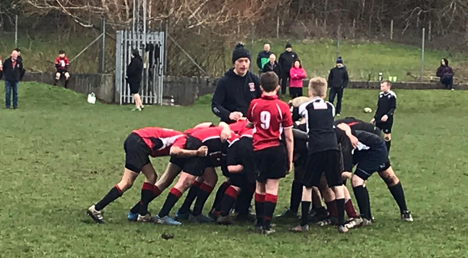 Despite being somewhat intimidated by the size of the opposition, the boys rallied together and showed a great team spirt, can’t fault the reds effort and teamwork today. As they say you can’t and don’t want to win the all.